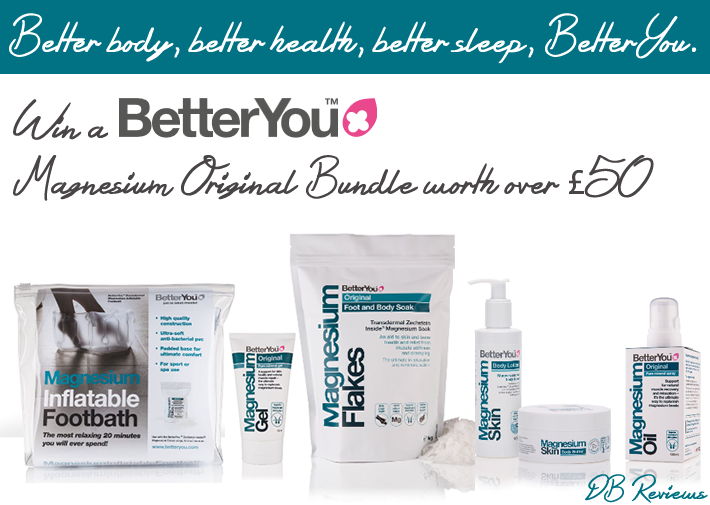 Kick off your new year in good health by winning this magnesium bundle from BetterYou. A powerhouse mineral, magnesium is crucial to help speed up recovery by helping you improve muscle function and flexibility, maintain electrolyte balance and reduce fatigue. It’s also vital for skeletal strength and energy production, and will help you to sleep well after your workout through its ability to relax muscles. Seven in ten of us suffer from low levels of magnesium. It’s a fact that we don’t get enough from our daily diet, and so a supplement that gets straight to where it’s needed is the way to recharge our systems. Supplementing magnesium transdermally (through the skin) is a superior way to absorb this mineral, and has been proven to work five times faster than tablets. As it’s absorbed through the skin, it bypasses the digestive system straight into the body tissue providing a fast and effective dose directly to where it’s needed. The BetterYou magnesium range guarantees immediate absorption through the skin using the purest and most easily absorbed form of magnesium known.